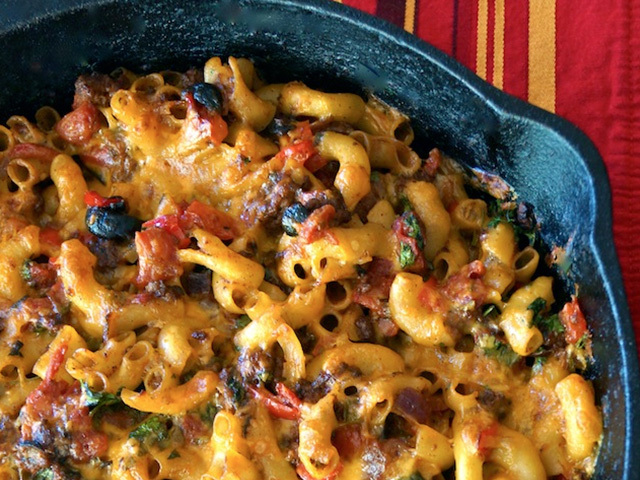 When I made this one-pot meal for my family, after just one bite, my 11 year old said it tasted like a combination of macaroni and cheese and a taco. Since those are two of his favorite meals, he proceeded to eat everything in his bowl. Of course, I took this as a huge compliment. Mexican flavors make their way throughout all of the melting cheese and pasta, making each and every bite amazing. 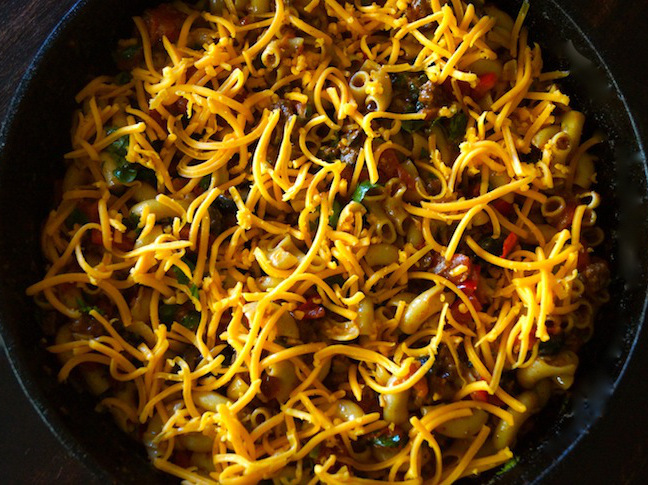 Delicious and full of veggies and beef, this is the perfect meal for the fall and winter months. 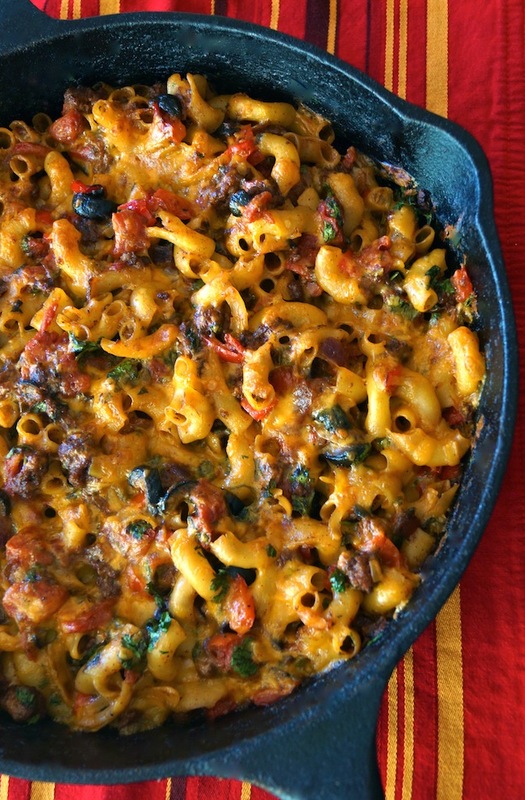 I don’t know a kid or grownup who wouldn’t be over the moon to find this Tex Mex Mac ‘n’ Cheese waiting for them at the dinner table! Step 1: Cook the macaroni in a large pot of boiling, salted water until just tender but still firm to bite. Drain the pasta in a colander and then put it back into the pot. 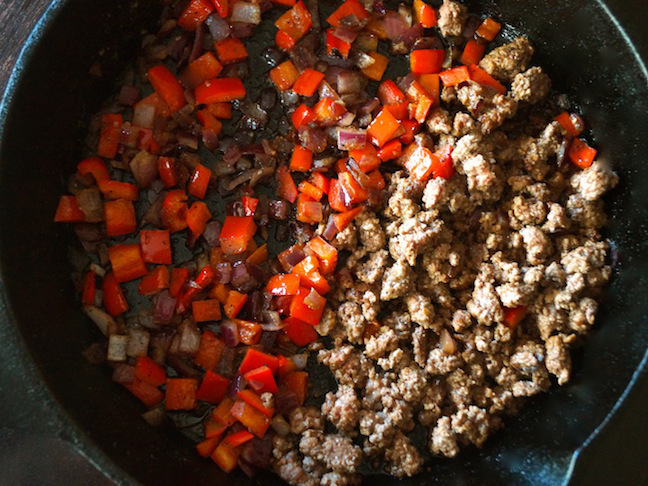 Drizzle it with a bit of olive oil, mix, and set aside. Step 2: Preheat the oven to 375 degrees F, and adjust a rack to the center. Step 4: Move the vegetables to one side of the pan and add the meat to the empty side, breaking it into bite-sized pieces. Sauté until it's cooked through, about 5 minutes. 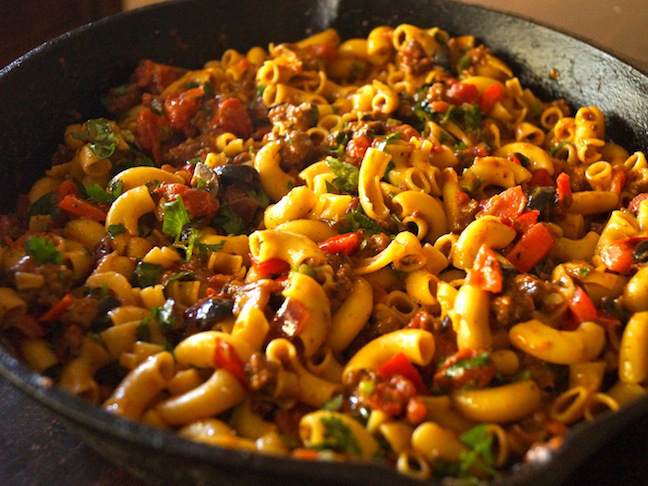 Step 5: Mix in the tomato, olives, cooked macaroni, 2 cups of the cheese, and the cilantro. Step 7: Sprinkle the remaining 1 cup of cheese evenly over the top. Notes: If you don't have an oven-proof sauté pan, after you've seasoned the dish to taste, pour it into an approximately 9 x 13 x 2 inch baking dish before moving on to the next step.